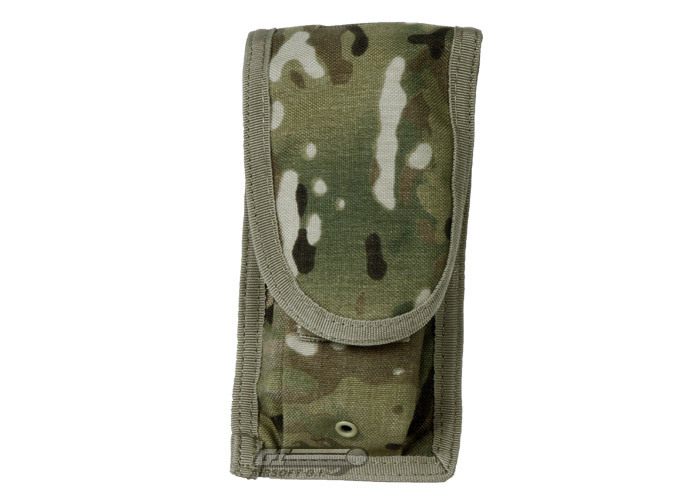 The Condor Outdoor MOLLE Holster Pouch is similar to the Condor Outdoor Radio Pouch, however it's been adapted for easier use with a gun. For example, the elastic strap around the front of the main compartment is wide and stiff for better retention. In addition to the main Velcro flap there is a button strap similar to the one found on the Fastdraw holster. 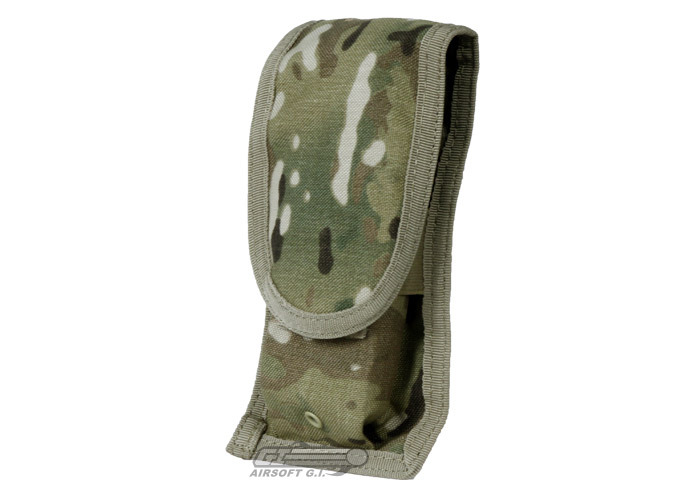 This holster pouch is great for snipers that need a streamlined compartment for holding a side arm. It's a nice, simple holster. Completely adjustable for pretty much any pistol you can shove in it, and it's ambidextrous, too, which is a nice touch. Your gun is held into the holster by two elastic bands on the side that keep it snug, while a strap that goes over the grip buttons it in. 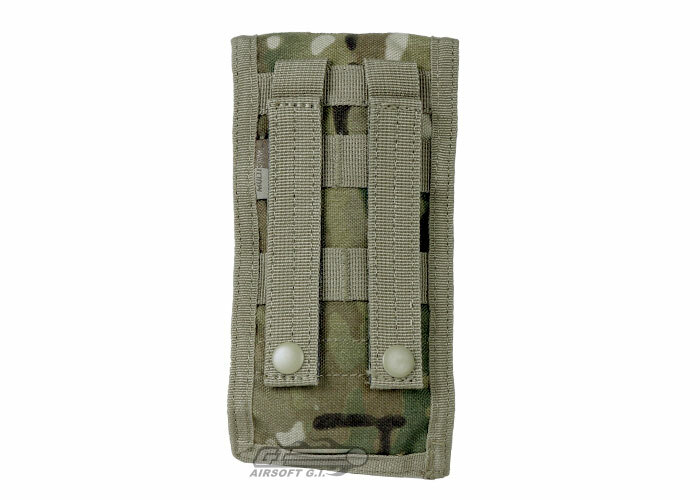 Over that, there's the Multicam flap that velcros over it to keep it protected while on the move. For the most part, you're gonna keep it rolled up behind your gun so you can draw it quickly. If you have it on a belt (that is, on your waist, or even on a drop leg) you'll find it's a great draw. After fiddling around the first few times I used it, I figured out you can use your thumb to quickly unsnap the button while you pull it out of the holster, making for a fast pistol draw. If you have it attached to your vest, or pretty much anywhere above your waist, undoing the snap and drawing your weapon will be a hassle. Unfortunately, the snap button on the straps that hold your gun in gets worn out very quickly. After repeatedly snapping and unsnapping in battle, it's starting to rip off and rust. I'll probably make a better strap myself once this one finally fails. All in all, good holster. Holds medium pistols (A full size Desert Eagle PROBABLY won't fit in here.) My USP and my 1911 fit fine. Only real weak point is the strap that holds the gun in, under the Multicam flap you see in the picture. After repeated opening and closing, it wears down quickly. Easily replaced. 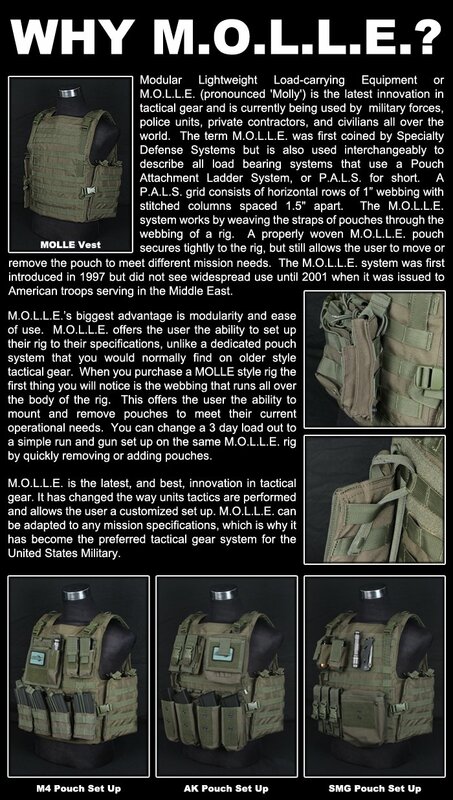 It will because it's MOLLE.